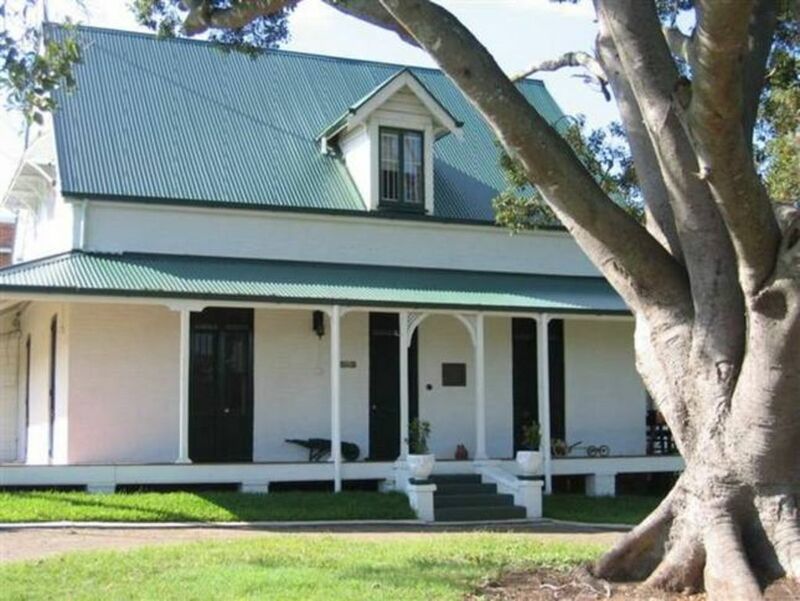 Lucerne on Fernberg is a bed and breakfast country retreat located near the heart of the Brisbane city. Two self contained, air conditioned cottages, set in half an acre of gardens are located close to cafes, restaurants, theatres, transportation and a football stadium. Enjoy the heritage listed, luxury accommodation at a reasonable price. 3) the Rose Cottage can accommodate two adults only. The Coach House comprises an air-conditioned sitting room, bedroom and ensuite upstairs and a kitchenette downstairs. Rose Cottage comprises a bedroom and sitting room, ensuite, kitchen and verandah. It is accessible by wheelchair and has bathroom facilities for persons with limited mobility. We thoroughly enjoyed our stay. Our hosts could not have been more helpful. We have never stayed in a cottage more thoughtfully set up than Rose Cottage. Everything we needed was there. We especially enjoyed fresh eggs for breakfast. Rose cottage is tucked away in the gardens of the old house called 'Lucerne'. The oldest continually inhabited house in Brisbane. It had character, a brilliant location, exemplary hosts and a warmth that made it a wonderful place to be in. Could not recommend highly enough. A lovely place to stay. The cottages are just beautiful. The decoration and comfort A1.The manager was extremely friendly and helpful. Location perfect, walk to the cafes in Roselie and Park road. Close to Paddington and within walking distance to Milton station.Perfect. Very happy, will stay again. Great place close to town. Nice and quiet.